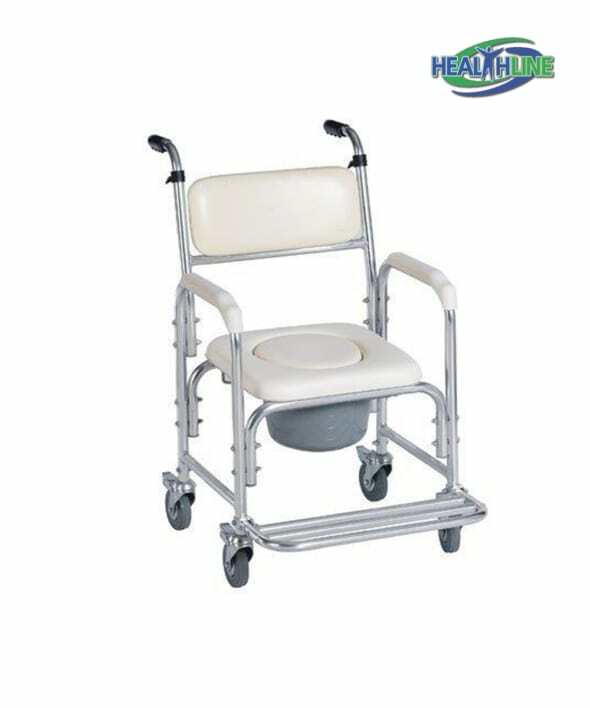 Thischair toilet for elderly, equipped with four sturdy caster wheels, can be used as a bedside chair or a transfer chair for elderly, post surgery or bariatric patients. The lightweight chair/commode is open at the front and is fully padded. The armrests of the mobile commode can be adjusted depending on patient’s height and are fully padded as well. Toilet seat comes with a removable bucket and a cover which are easy to clean. This wheeled commode has easy to grip slip-free handles for ease and maneuverability. All casters come complete with brakes for your safety. Aluminum frame includes a convenient footrest for extra comfort. The product is real airy for its complex structure, weighing only 14.1 pounds. Seat width and depth are equal and account for 16 inches. Total width and height of this commode are similar and comprise 21 and 21,5 inches accordingly. 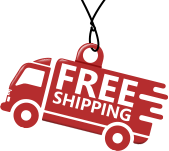 The product can bear up to 300 pounds of weight. The structure of the wheeled commode is easy to assemble and convenient for any type of patient that needs help getting in and out of bed. Can also serve as a transfer chair or a bathroom amenity.